Slathering oil all over your face sounds a little scary even if you have extremely dry skin. I definitely don’t want to make my face look like an oil factory by applying oil. I am from a place where Everyone uses Extra virgin coconut oil & its products for skincare. Ever since my childhood I have been using oil on my hair, my skin etc. i always wanted to try a different oil. Sometimes I wonder, How to even find a oil that doesn’t make your face look greasy. That’s when my dearest renji send me this bottle of gorgeousness and I decided to give this a try. Here I am exactly after 3 weeks of using it to give my honest opinion on it. Before we start – Let me give a little intro about my skin, my skin concerns etc. I have a dry skin with little acne on my cheek area. nothing major, Just like many of you girls who get occasional breakouts – So am I. My skin concerns are- I have a super sensitive skin. I don’t wear makeup on a regular basis. I am also lazy when it comes to skincare. I stay in a college hostel in the Shimla which has a harsh cold climate all the time. 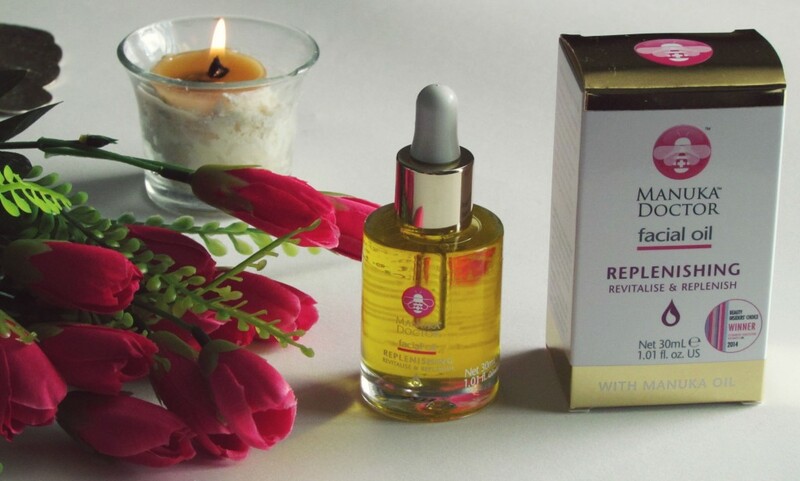 Now, at least some of you guys might ask this – Million dollar question – Why a face oil ? 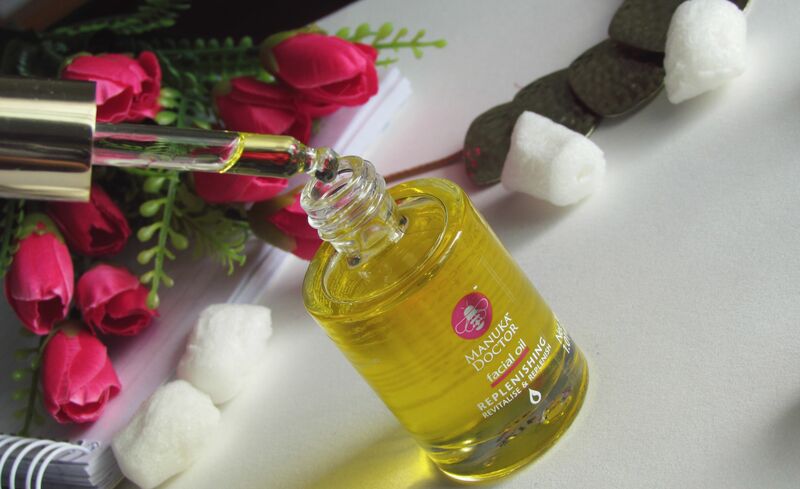 A good face oil actually make your skin super soft and glowy, non-greasy. Some even help fight acne (seriously yes!). The trick is knowing when to use them—and finding the right one for your skin type. 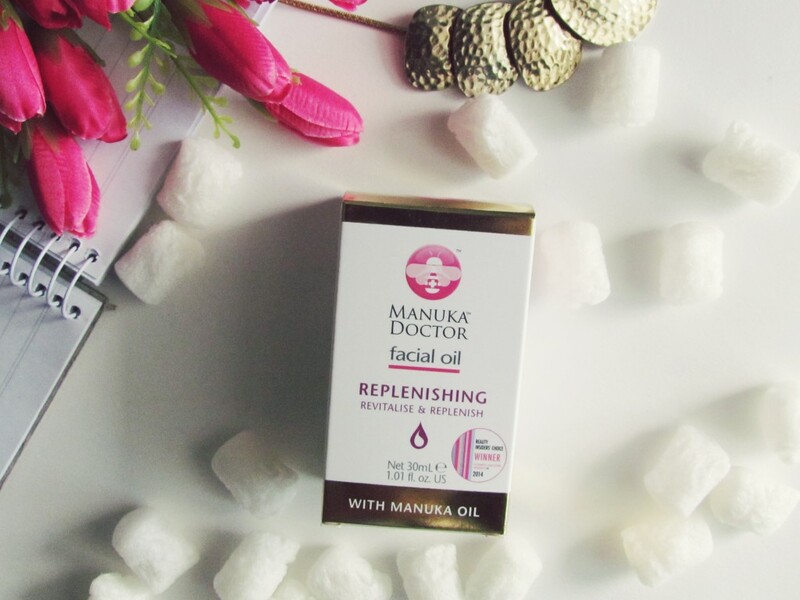 Having said these, Lets move on to the review..
Manuka Doctor Replenishing Facial Oil is an anti-ageing formula rich in powerful plant extracts designed to revitalise and restore radiance . 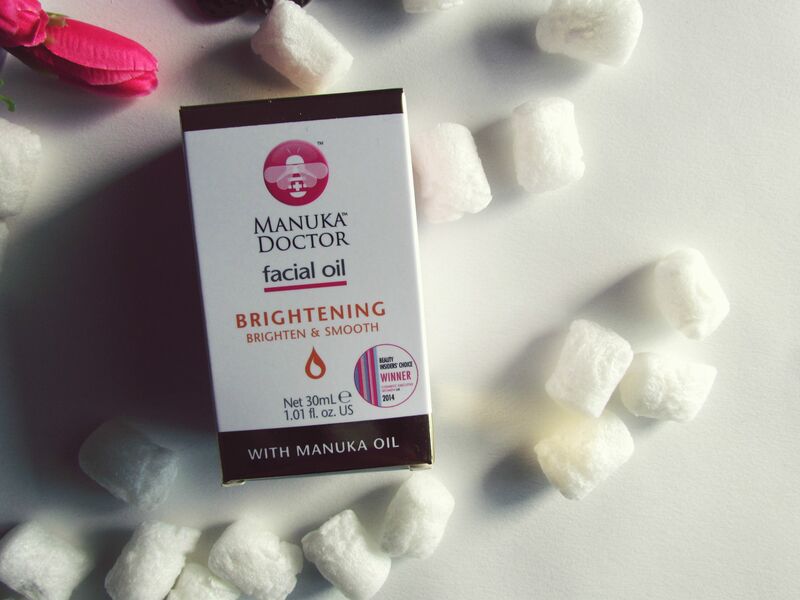 Achieve a brighter, fresher and more youthful looking complexion with Manuka Doctor Replenishing Facial Oil – featuring hero ingredient Manuka Oil. 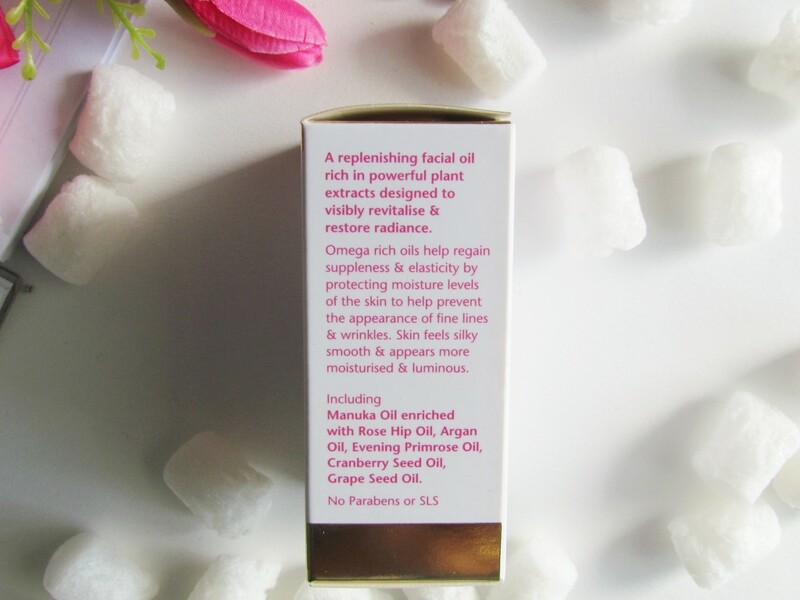 Omega rich oils help regain suppleness and elasticity by protecting moisture levels of the skin to help prevent the appearance of fine lines and wrinkles. Skin feels silky smooth and appears more moisturised and luminous. 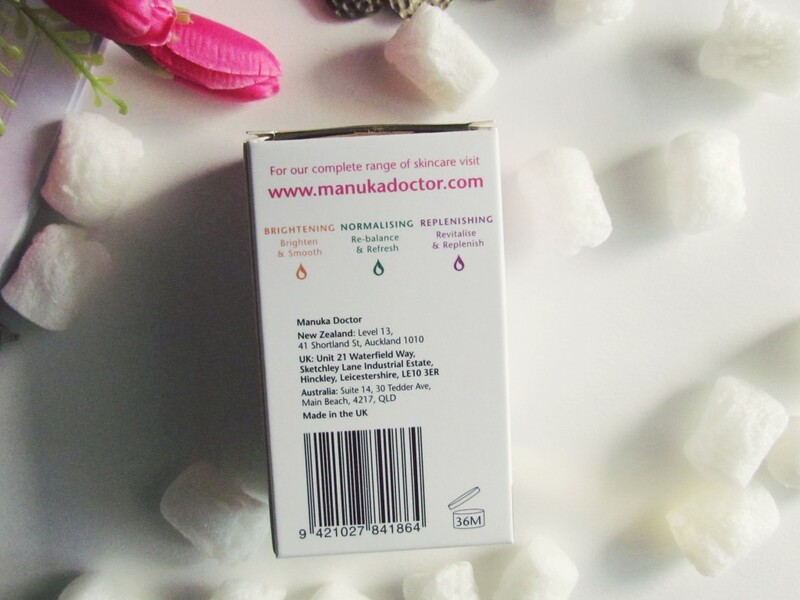 Manuka Doctor Replenishing Facial Oil is designed to suit all skin types, so there is no reason not to try this powerful anti-ager for visible skincare results. Just a couple of drops applied daily will visibly hydrate, revitalise and even skin tone whilst essential oils restore skin’s suppleness – all without greasy side effects. Shelf Life : 3 years!! wow, awesome! 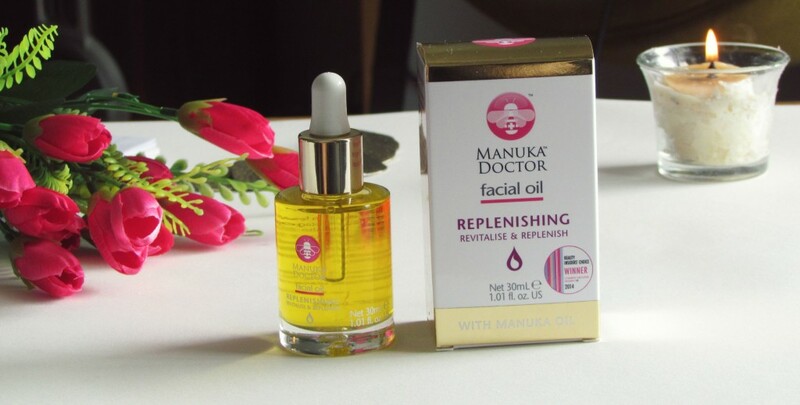 Manuka Doctor Replenishing Facial Oil is an anti-ageing formula rich in powerful plant extracts and it claims to revitalise and restore radiance of your skin thereby achieving a brighter, fresher and more youthful looking complexion – It has its hero ingredient “Manuka Oil” along with rose hip oil, Argan oil, avocado oil etc to name a few. I was more than excited to try it out..
Let me start the review by talking about the packaging! Glass bottle looks and feels bulky, However, the pipette makes it easy to exactly dispense how much product I want. I usually need 4 drops for my entire face area. I take few drops on my hand and dab on to my face area; It feels velvety smooth while applying. It feels luxurious and it vanishes to my skin leaving it soft. Not at all greasy! Thumbs up to the brand for that! I use it twice a day. morning and before bed. AS it has all natural oils- Some of you might not like its smell..I like it though! It really nourishes my skin and I love this product. Initially, when I applied, I saw few zits around my nose area. But it went off in 2 days. Now, me along with my hostel mates use this regularly. We all like how it moisturises the skin and my friend who have some left over acne scars – she said its fading too with the usage of this. If you are not a fan of facial oils, You can also mix 3-4 drops of it along with your moisturiser. it spreads nicely making your face moisturised and hydrated. Argan Oil – Best for Oily & Acne-Prone Skin – Argan Oil has properties that help treat and prevent acne! Avocado Oil – Best for Sensitive Skin -If you have super sensitive skin, avocado oil is the way to go! It has calming benefits and gets deep into your skin to soothe any itching from dryness. Now ,the hero ingredient Manuka Oil – Manuka Oil is renowned for its potent antimicrobial properties. Did you know – For centuries, New Zealand Maori have used the Manuka Oil from the native tea tree, Manuka, to treat everything from rheumatism and fevers to burns and skin disorders. This is a super awesome facial oil that has a lot of benefits for the skin. I swear by this product. If you have acne prone skin- do try this. Make sure you are not allergic to any of the above mentioned ingredients. I have not seen any brightening effects using this. Maybe it takes a while or I should use it for a long time. But, it does help get rid of new acne, fade acne marks etc. 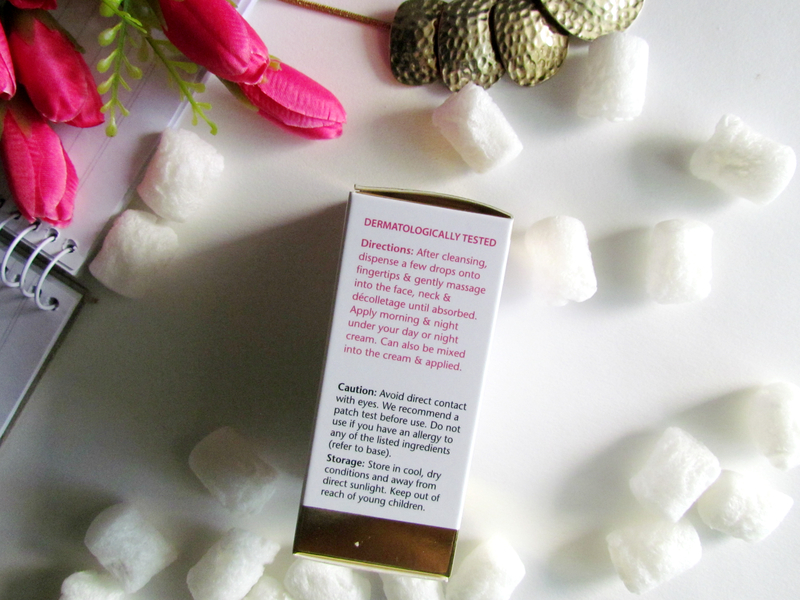 Overall, I am happy with the results – Skin feels silky smooth and also moisturised. I recommend this facial oil to you if you are looking for a non-greasy light weight oil that helps cure acne, hydrates skin etc. ** Product send by brand PR. However writers opinion is not influenced by the brand. Review is based upon her personal experience of using the product.